Abstract: Sovereign debtors’ public investment influences defaults and debt restructurings. We compile a new dataset on public expenditure composition around restructurings with private external creditors. We show that public investment (i) experiences a severe decline and slow recovery, (ii) differs from public consumption and transfers, and (iii) relates with restructuring delays. 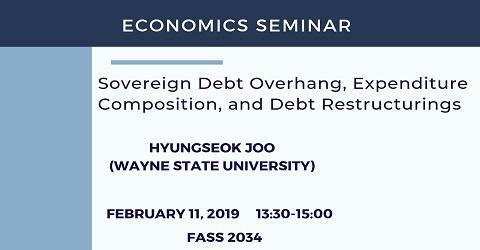 We develop a theoretical model of defaultable debt that explicitly embeds public expenditure composition, capital accumulation, and multi-round debt renegotiations. Our model quantitatively replicates these facts, and shows that severe public investment adjustments—“sovereign debt overhang”—are the source of inefficiencies and that a public investment rule can improve welfare.